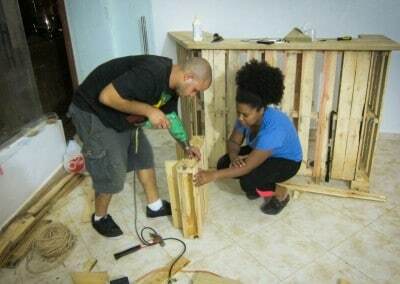 For the past few years my close friend Carolina Contreras, a.k.a. 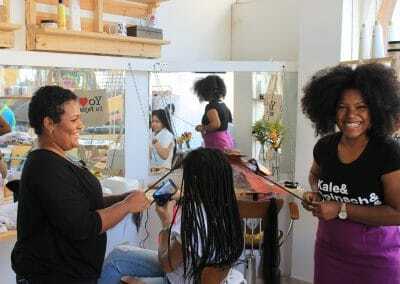 Miss Rizos (Miss Curls in English) has been working as an activist encouraging and empowering women in the Dominican Republic to ‘go natural’ (i.e. 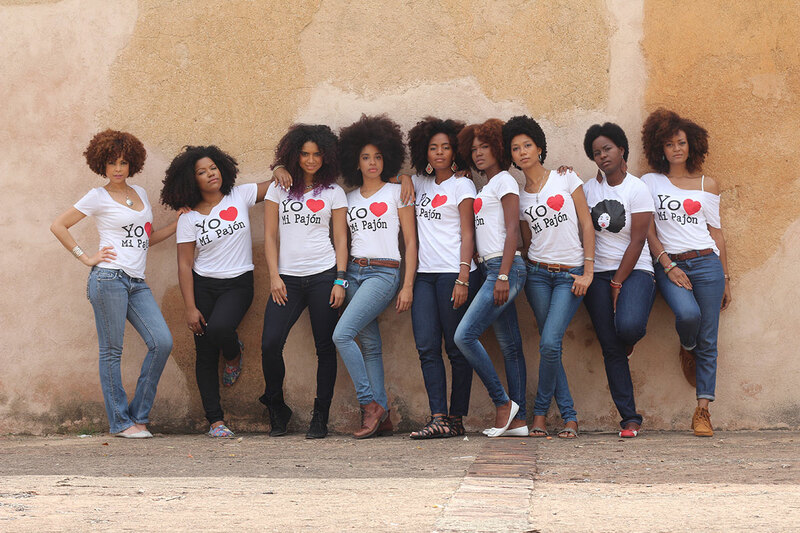 to proudly rock their big curls). 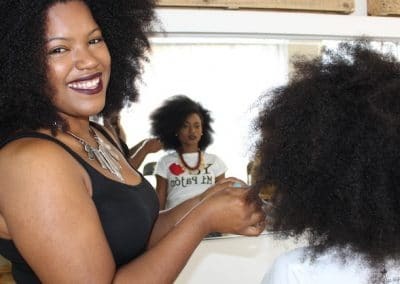 While most people in the DR naturally have curls, most women straighten their hair as anything reminiscent of afro-ancestry is largely stigmatized in the country. 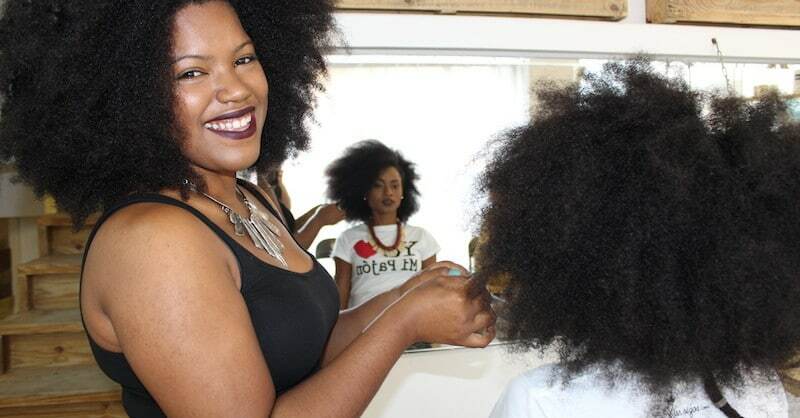 Carolina has slowly been changing this societal norm by creating a movement of women that support each other in the process of going natural. 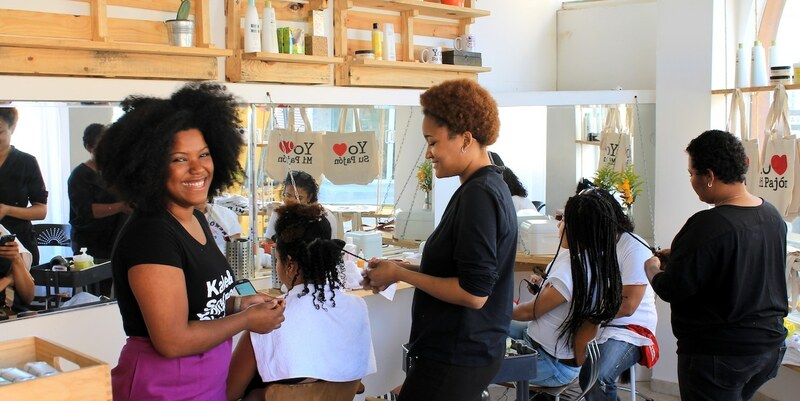 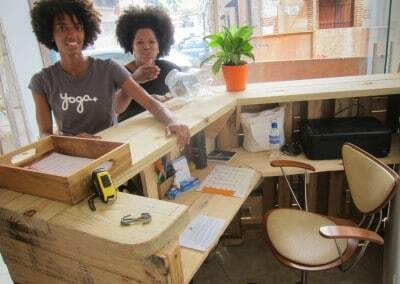 In 2014, after having grown her movement to thousands of people she decided to open her own natural hair salon. 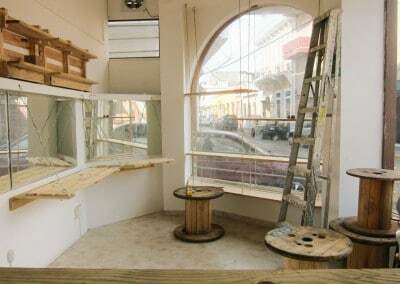 Having obtained some very modest funding through a Kickstarter campaign, Carolina approached me with a request to help her with the interior design for the brand new salon. 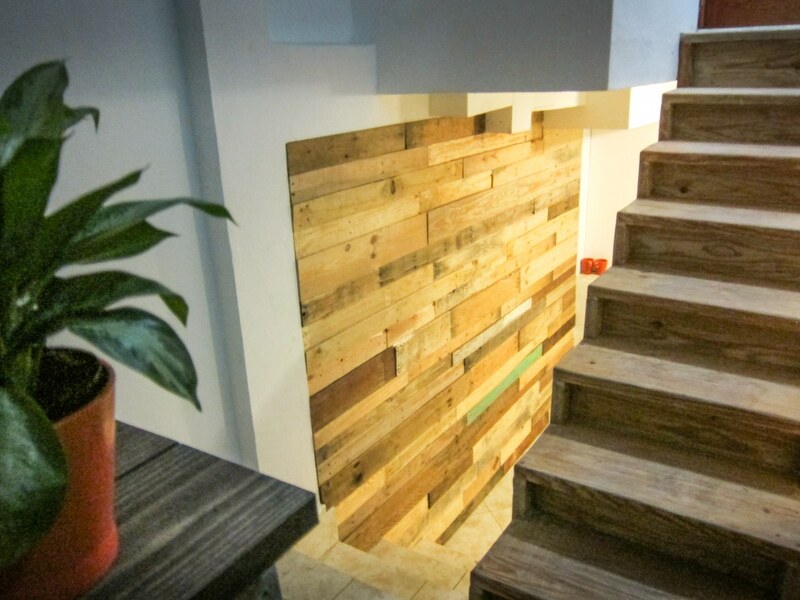 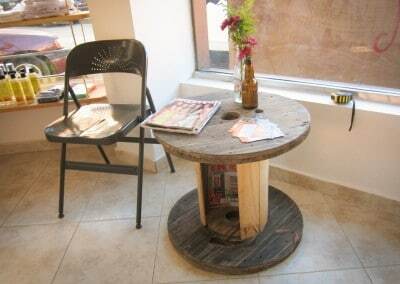 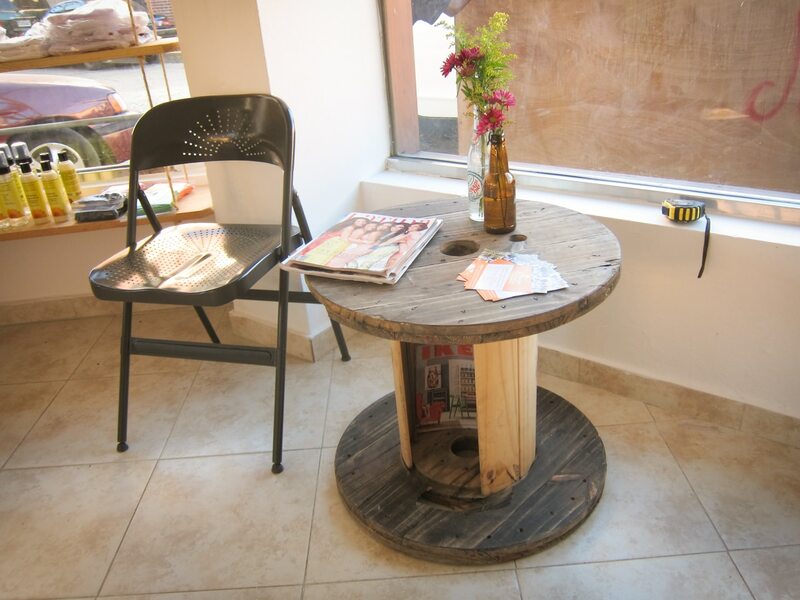 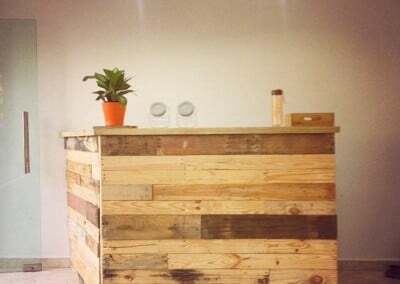 The idea was simple: we were to create a place that was warm and welcoming, had a sustainable look and feel, and had to do so using essentially no money. 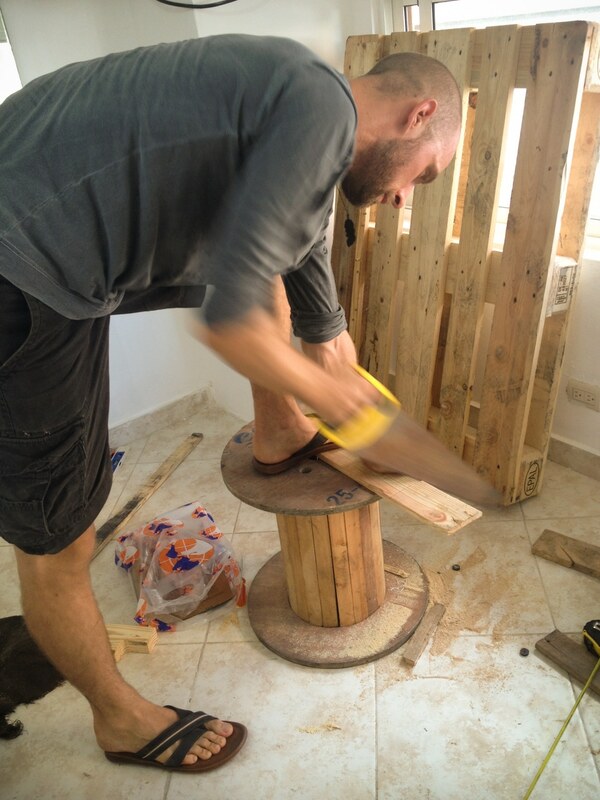 Following a brief process in which played with various concepts we got to work, starting with nothing more than two (!) 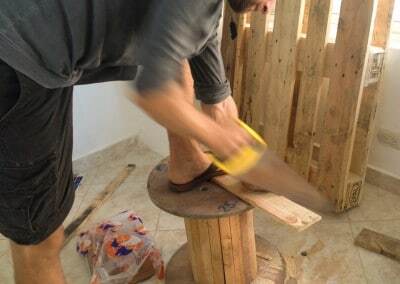 pallets. 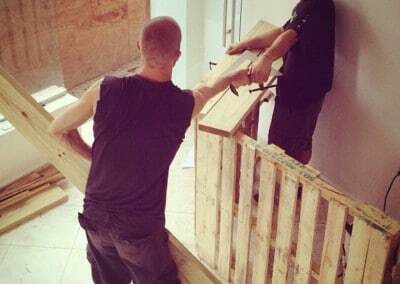 Two pallets grew into various pallets. And then came the support of many volunteers that helped collect some more resources. 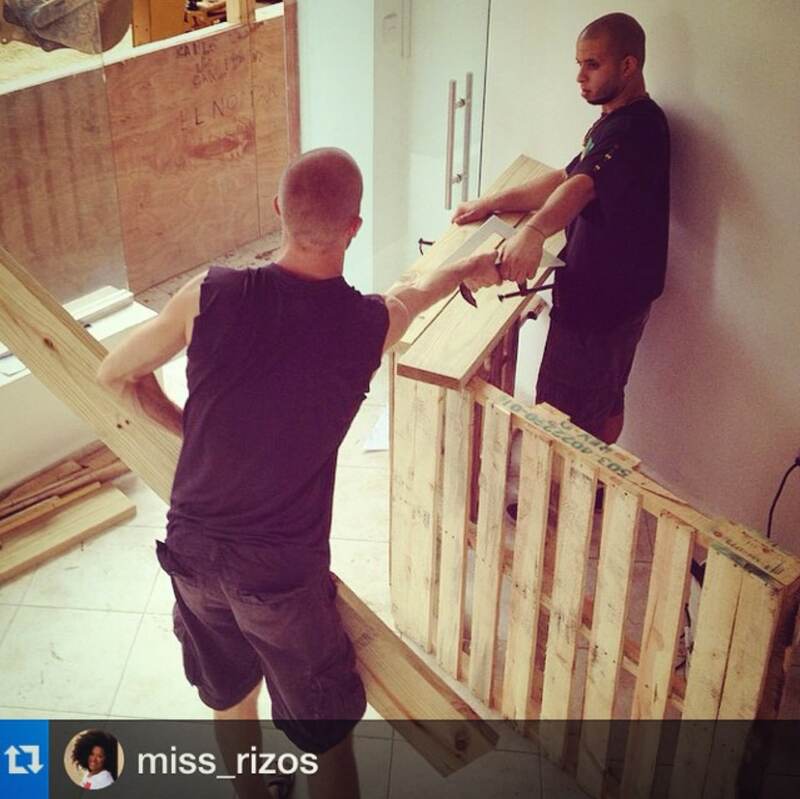 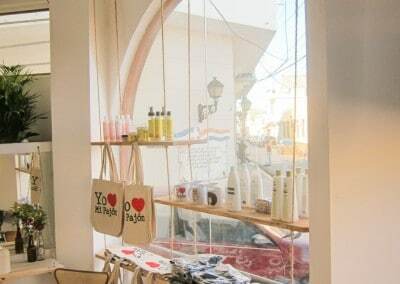 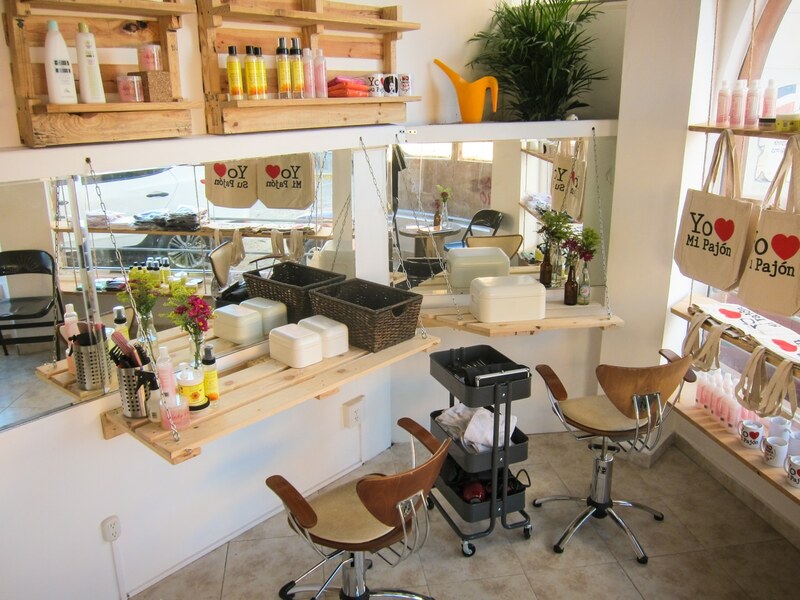 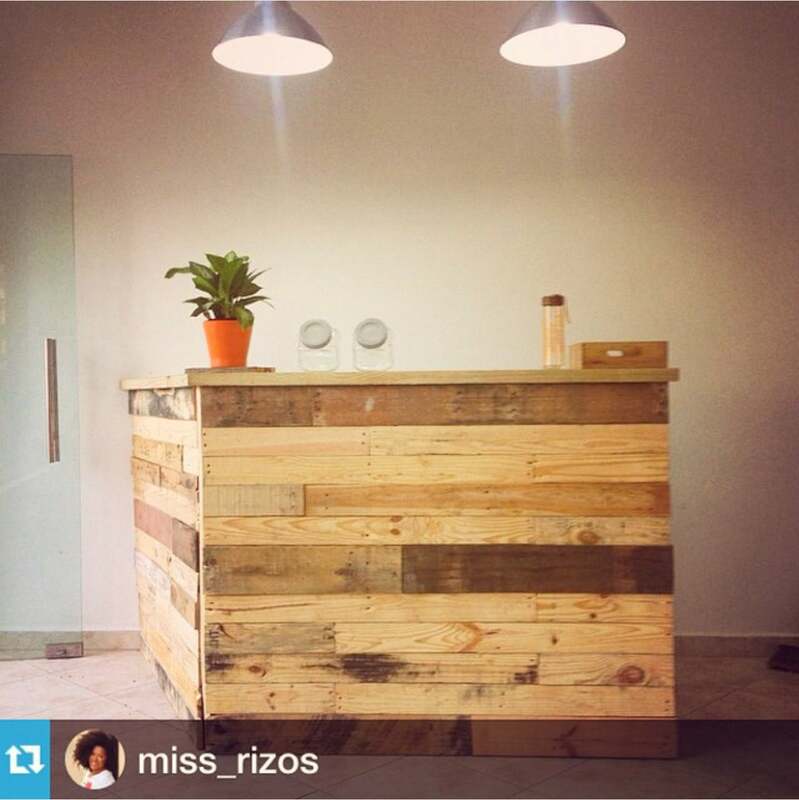 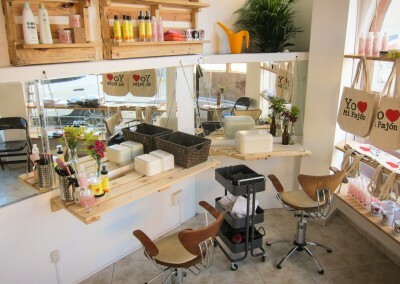 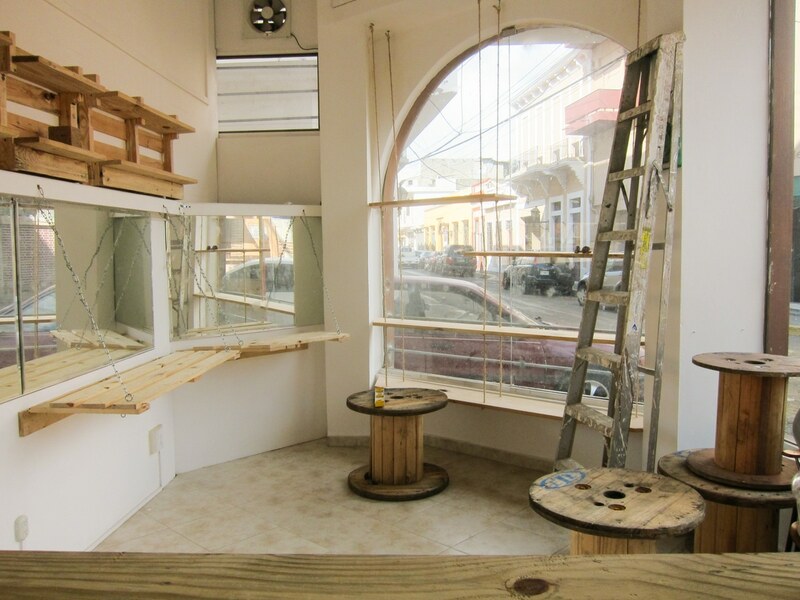 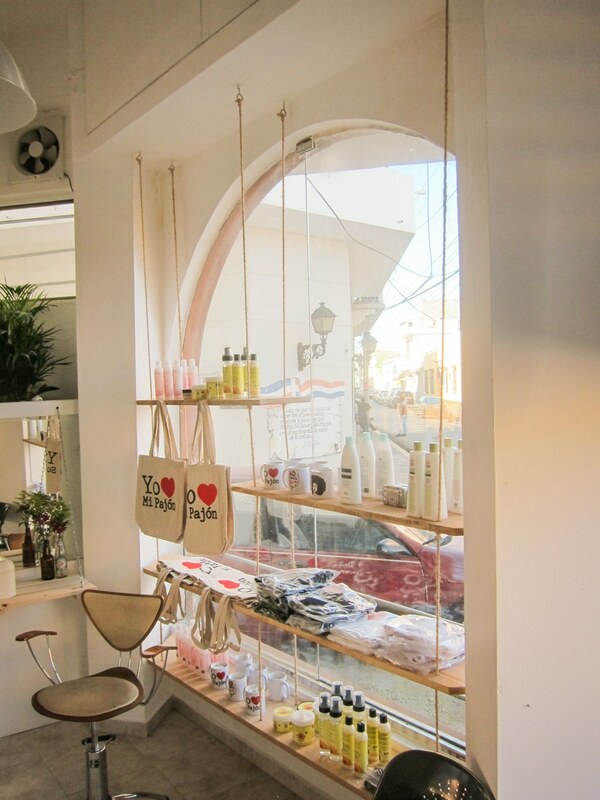 The result: Miss Rizos Salón opened its doors at the end of 2014 and has been doing amazing ever since. 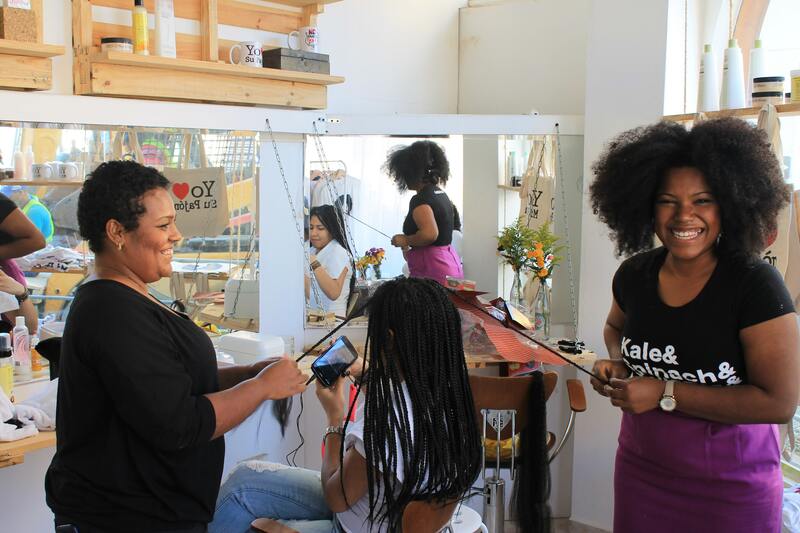 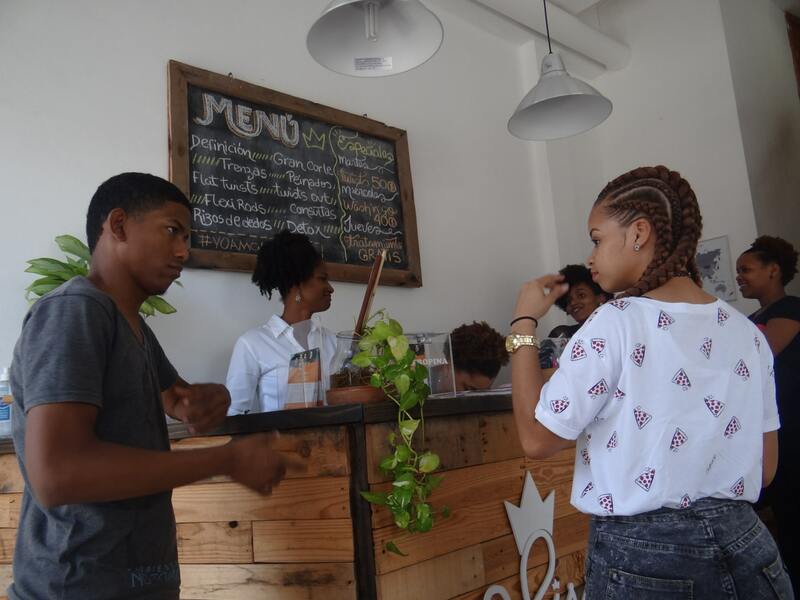 For the first time Dominican women now have a place that offers them awesome natural hair care as well as a space to get together and find strength and encouragement from others. 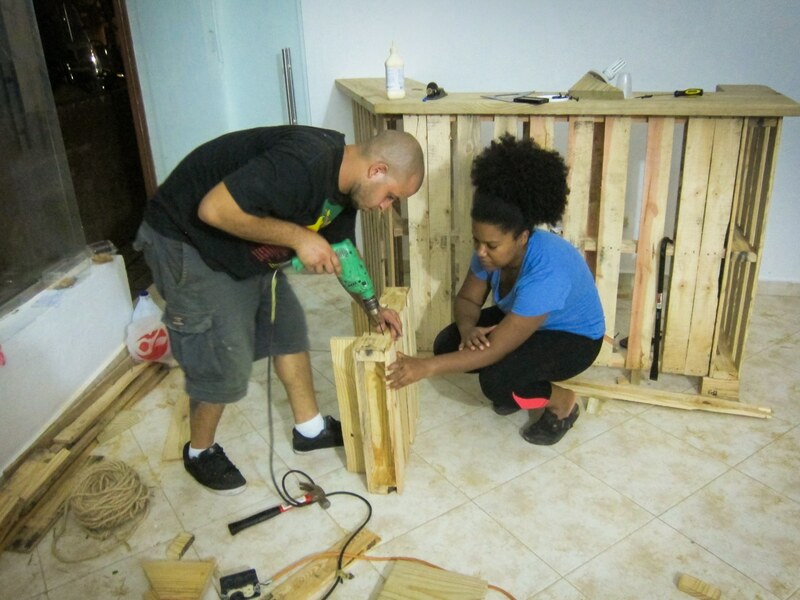 Carolina’s story was recently featured by Great Big Story. 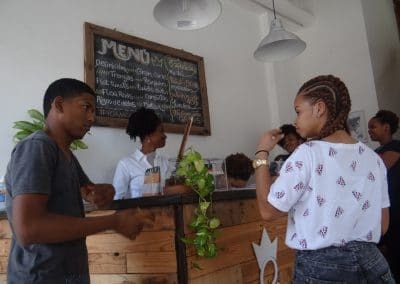 Check out this video to learn a bit more about her amazing work that helps women accept and love themselves on an island where they are often stigmatized.